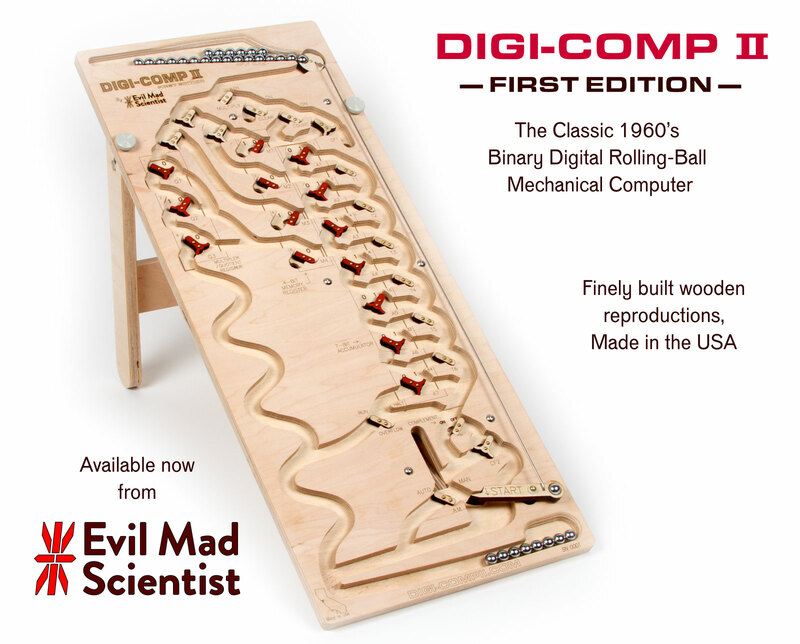 Finely-made wooden "First Edition" kits: Available now from Evil Mad Scientist Laboratories. Read the announcement article about this version, and our "Making of" article here. Click here to see a video of our larger than life version, as seen at the 2011 Bay Area Maker Faire. And, read about our kit prototypes, displayed at the 2011 Maker Faire New York.